Late Night Lanes Are Here! Every Thursday from 7PM to Midnight we have all the bowling action going on! 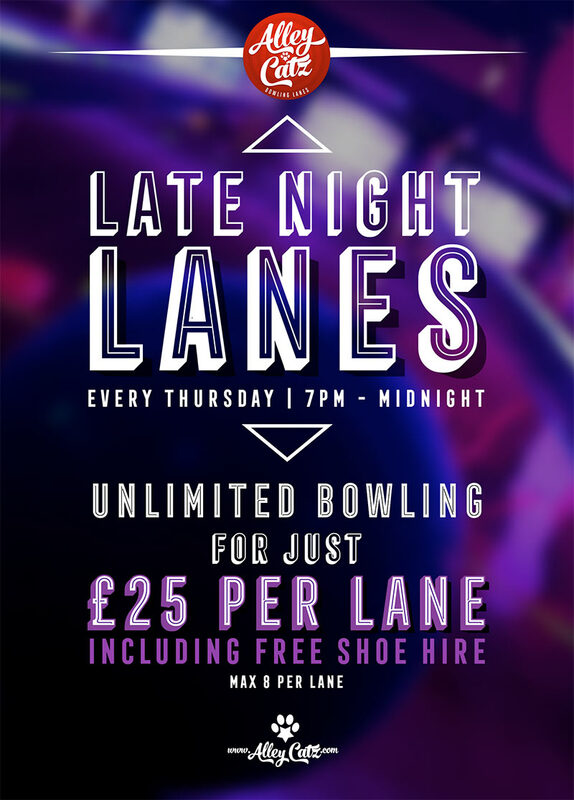 Fun for all ages and at just £25 per lane for the night (with a massive saving of up to £45), everyone can enjoy themselves and have a good time. With eight people allowed on a lane, you and all of your friends are sure to have an amazing fun filled night. Don’t stay in and wallow in boredom! Book now to get this terrific offer and make the most of your night!